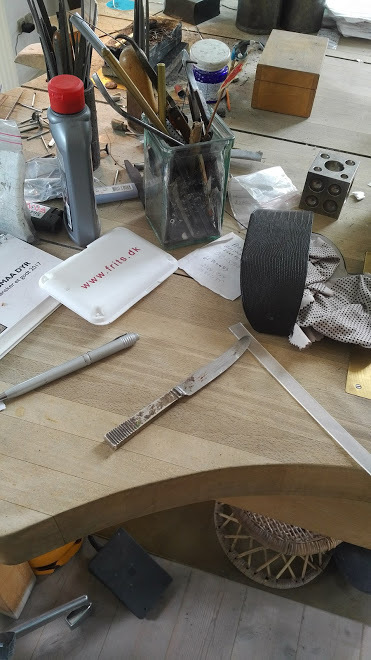 Anette Kraen attended the Danish College of Jewelry, Silversmithing, and Commercial design from 1967 to 1969 and studied in Germany and Switzerland until 1974. 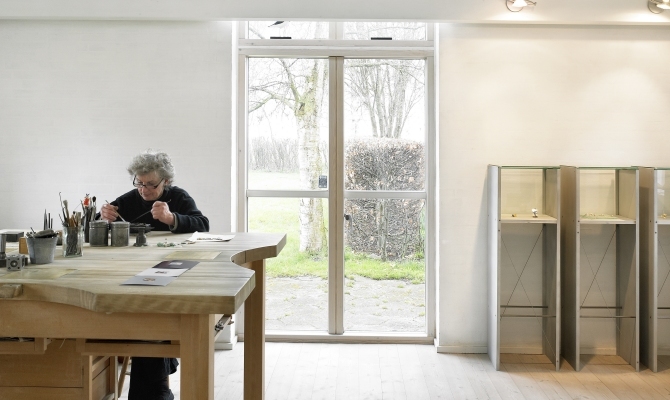 She has been represented in several exhibitions in Denmark and elsewhere and has won award at competitions held by the Association of Danish Goldsmiths. Georg Jensen has employed her as a designer since 1978.
june 2017 visiting anette kraen in her work shop. 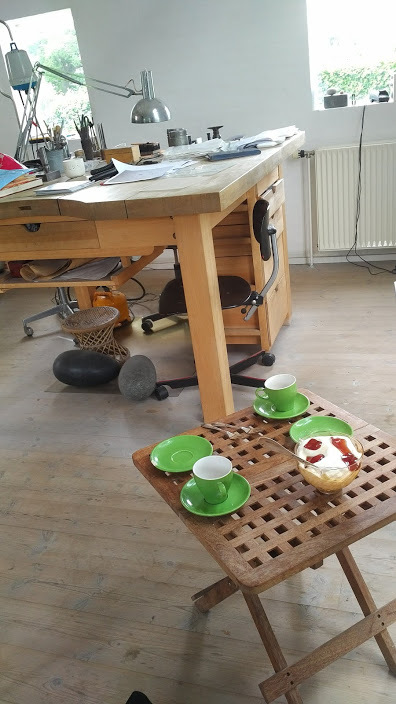 she served a delicious typical danish lunch following coffee and apple cake with whipped cream plus strawberry jelly.a day i will not forget!. see pic. below.